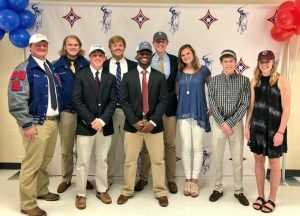 Eight Walton student-athletes signed National Letters of Intent to continue their academic and athletic careers in college on the first day of the spring signing period on Wednesday, April 11, 2018. 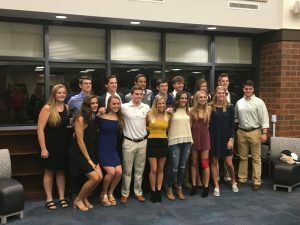 Seven of these student-athletes participated in an evening event in the Information Center where they had a chance to share this momentous occasion with family, friends, coaches, and teammates, while one participated in a morning event in the Principal’s office. These Raiders include basketball player Blaine McDonough (U.S. Merchant Marine Academy Mariners); football players Cole Arendsen (Centre College Colonels), and Nolan Parker and Clay Youngblood (Birmingham Southern College Panthers); soccer player Alexis Goolsby (Berry College Vikings); diver Mackenna Buchanan (Boston College Eagles); swimmer Riley Croker (Berry College Vikings); and runner Wyatt Womack (Belmont Bruins). 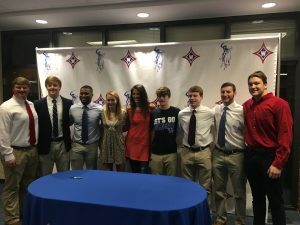 Nine Walton football and soccer student-athletes signed National Letters of Intent to continue their academic and athletic careers in college during the winter signing period on Wednesday, February 7, 2018. Each of these current Raiders participated either in the morning signing event in the Information Center at Walton (soccer) or in the evening event in the Rotunda at Walton (football), sharing their past successes and future plans with family, friends, coaches, and teammates. These talented individuals include soccer players Ian Farquhar (Kentucky Wildcats), Jackson Moeller (Clemson Tigers), and Shyla Stoops (Georgia Southwestern State Hurricanes) and football players Jake Benio (Youngstown State Penguins), Tyrese Bisnott (Notre Dame College Falcons), John Henry Davis (Concordia University Chicago Cougars), Stephan Jean-Francois (Rhodes College Lynx), Aaron Shapiro (Johns Hopkins Blue Jays), and Chandler Smith (Samford Bulldogs). 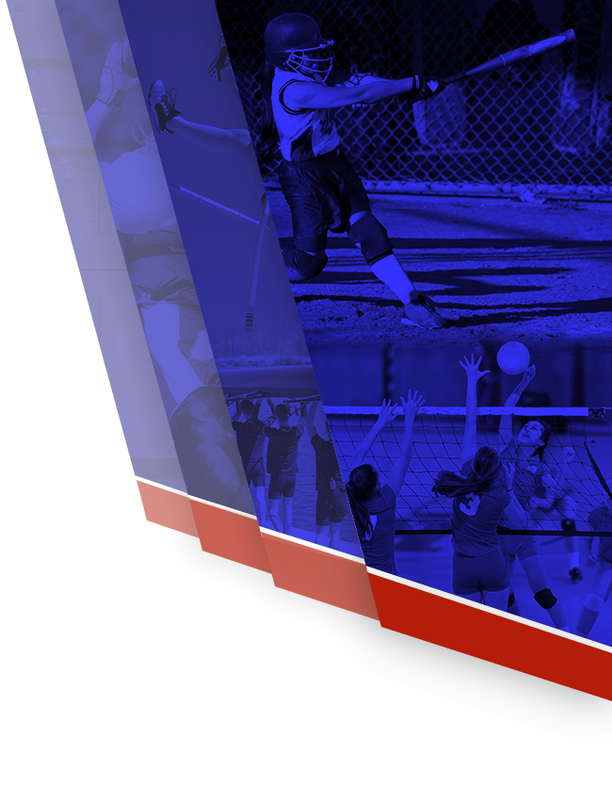 Sixteen Walton student-athletes signed National Letters of Intent to continue their academic and athletic careers in college on the first day of the early signing period on Wednesday, November 8, 2017. Each of these current Raiders participated in the Signing Night event in the Information Center at Walton on Wednesday evening. 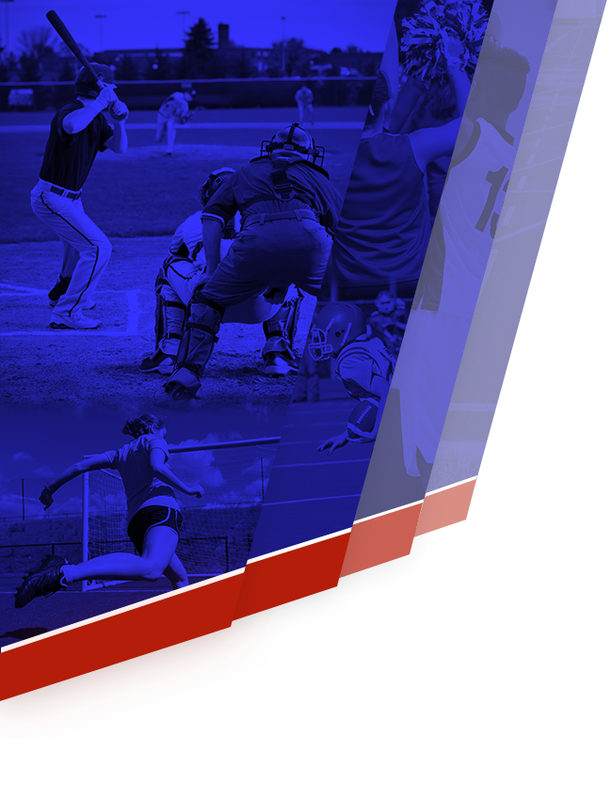 These talented individuals include baseball players Luke Bartnicki (Georgia Tech Yellow Jackets), Cameron Bloodworth (Wofford Terriers), Evan Condon (USC-Aiken Pacers), Michael Ferguson (Georgia Southwestern Hurricanes), Jaeger Keeline (Young Harris Mountain Lions), Henry Litman (Washington & Jefferson Presidents), and Jack Schad (Tennessee Tech Golden Eagles); lacrosse players Peyton Gregory (Kennesaw State Owls) and Sumner Santivanez (Winthrop Eagles); rowers Amanda Mitchell (Jacksonville Dolphins) and Chloe O’Brien (Clemson Tigers); swimmers Melissa Cox (Georgia Southern Eagles) and Jami Williams (Georgia Tech Yellow Jackets; and volleyball players Katie Crocker (Kennesaw State Owls), Sam Jones (West Georgia Wolves), and Kyle Ferguson (Belmont Abbey Crusaders). Congratulations to each of these tremendous student-athletes on all of their hard work and accomplishments that have afforded them the chance to continue their athletic careers in college, and thank you for the positive way you have represented Walton High School.